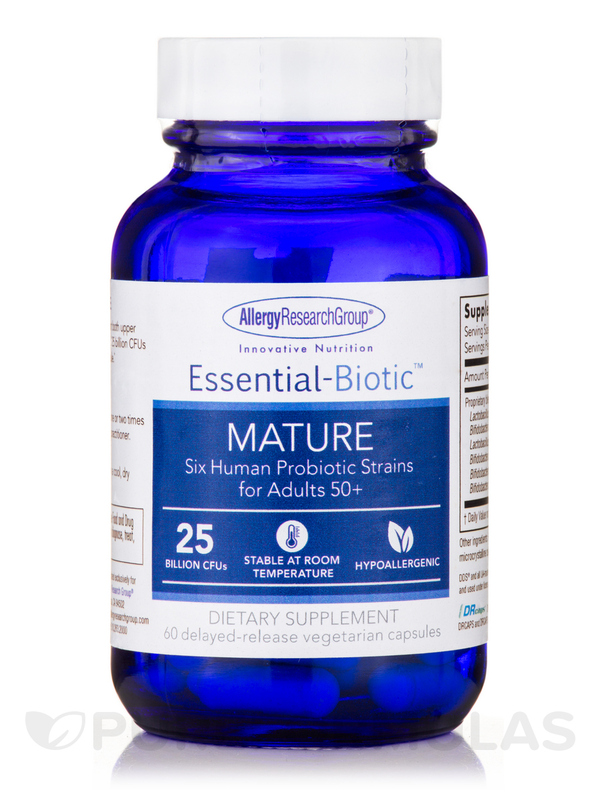 Six human probiotic strains to support both upper and lower GI health‚ in senior adults. 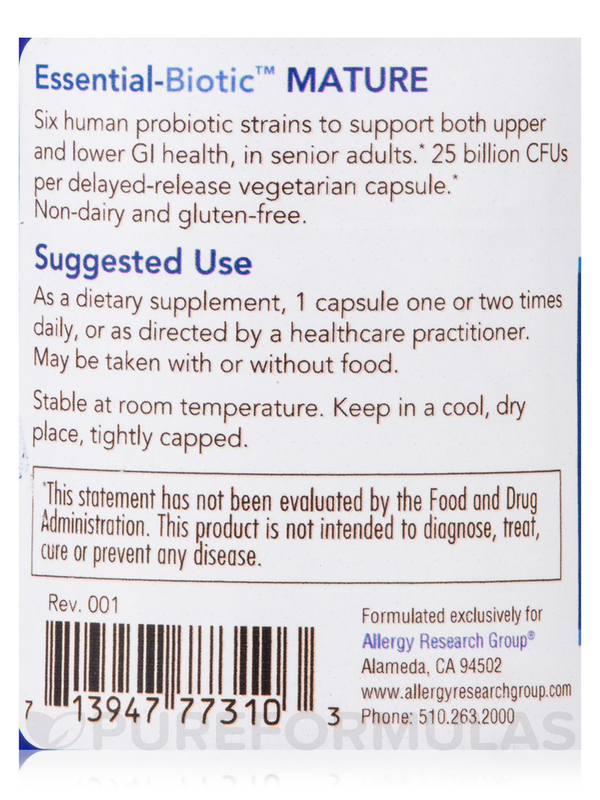 25 billion CFUs per delayed-release vegetarian capsule. 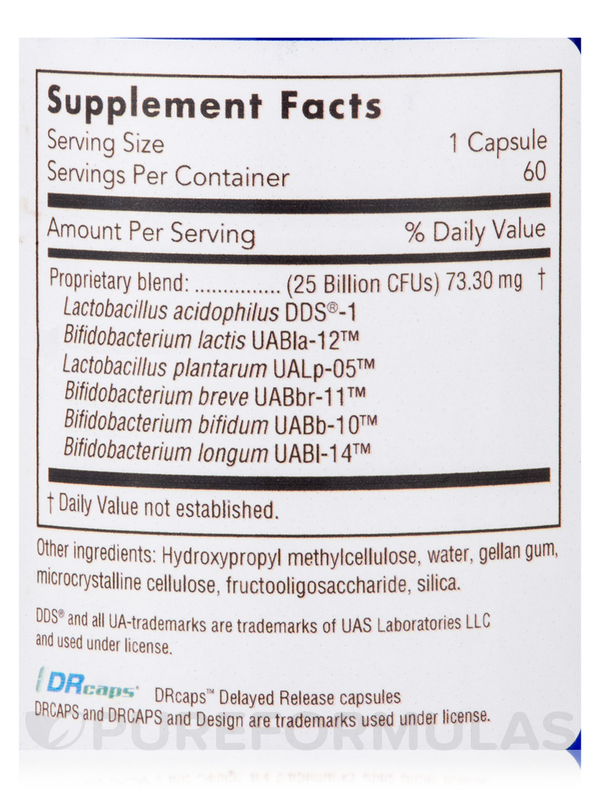 Non-dairy‚ gluten-free. 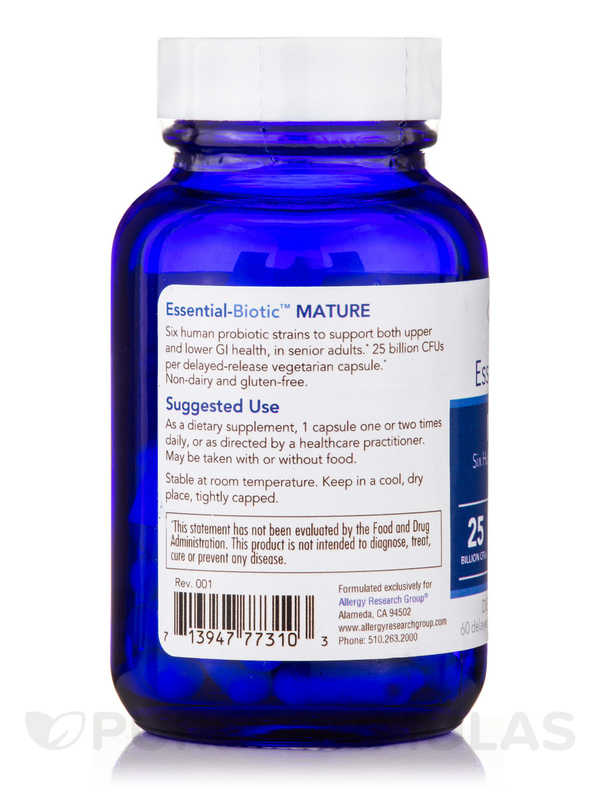 Other Ingredients: Hydroxypropryl methylcellulose‚ water‚ gellan gum‚ microcrystalline cellulose‚ fructooligosaccharide‚ silica. Hypoallergenic / Dairy-Free / Gluten-Free. 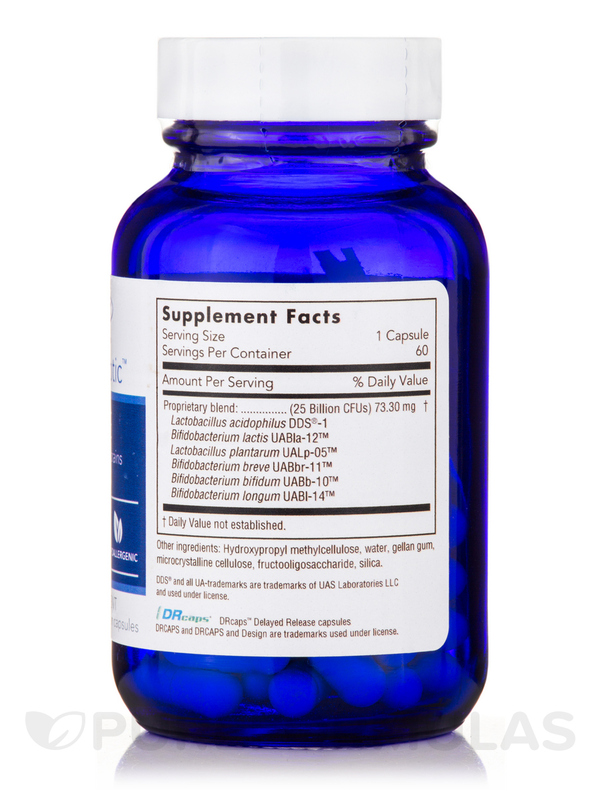 As a dietary supplement‚ 1 capsule one or two times daily‚ or as directed by a healthcare practitioner. May be taken with or without food.